A fantastic overview of the many strong jazz contributions that drummer Leonard King has brought to the Detroit scene from the 70s onward – as a musician who both continues the earlier spirit of righteous groups and soulful combos in that city! 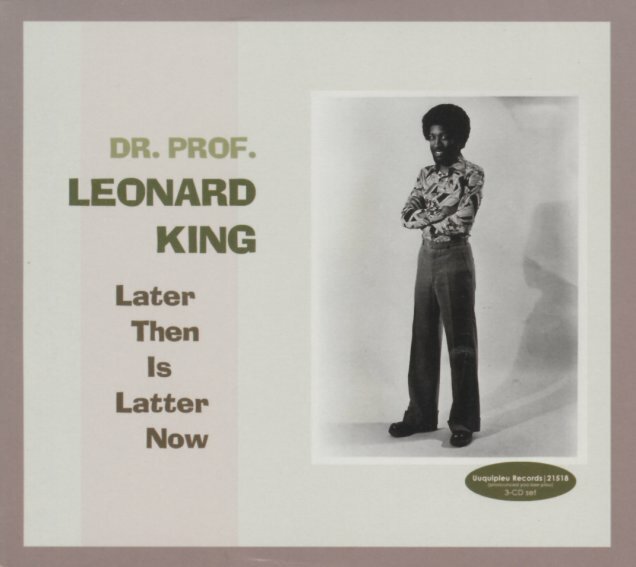 The package features unissued material from a variety of different groups that King led or performed with over the span of 20 years – material that's different than other CDs he's issued by these acts – and which, taken together, really blow us away with the scope of sounds in the mix, almost all of them deeply spiritual, and often quite funky. The 3CD set features almost two full discs of work by the excellent Strata Nova ensemble – plus more from The Imports, Synchron, Oopapada, Trinidad Sanchez, and Ron Allen – with players who include Glenn Myrick and Faruk Z Bey on tenor, Ron English on guitar, Pamela Wise Harrison and Billy Wooten on piano, and Harold McKinney on piano and vocals. Those musicians really tie the set back to older Detroit experiments on the Tribe Records and Strata labels – and titles include "We Gone Baby", "Pay Toilets", "Flor Y Canto", "For Black Poets Who Think Of Suicide", "Coming Nations Fanfare", "Moors", "Hijack", "Walkin With Dave & Rodney", "Libra's Longing", "Drums For Ali", and "Funkytaneously". © 1996-2019, Dusty Groove, Inc.